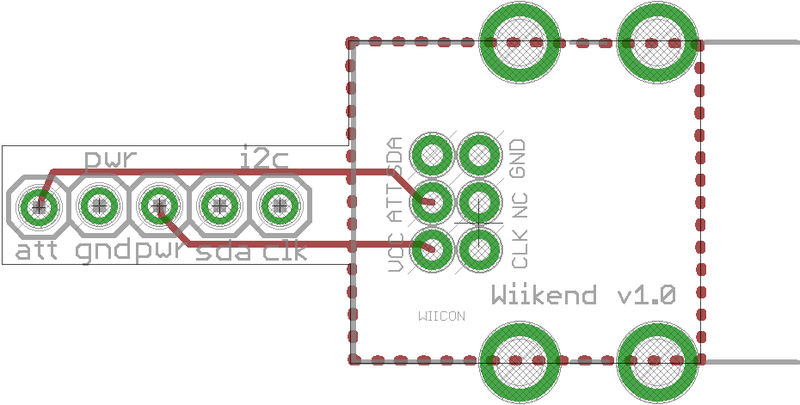 The wiikend is an improved version of the small printed circuit board which you can use to connect a nunchuck or other Wii attachments to the arduino developed by Tod. It has the possibilities to connect to PWR GND and the SCL SDA I2C pins of the nunchuck. I found three disadvantages when using this board. 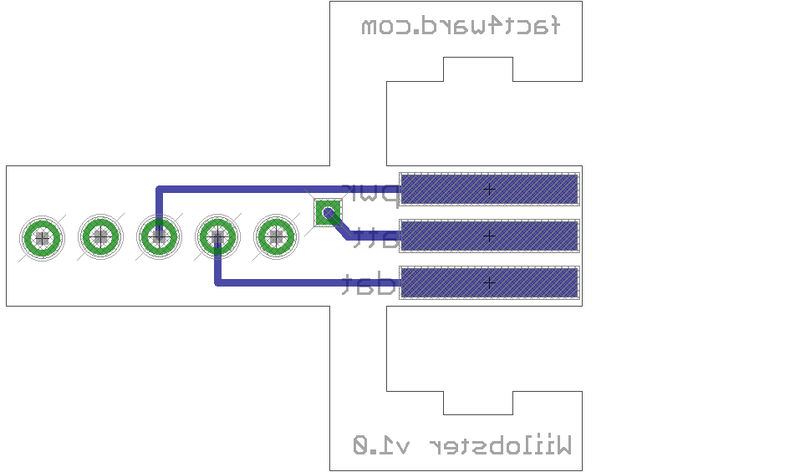 1) The nunchuck has the tendency to pull out of the pcb because there is no fixation to the board. 2) There is no possibility to connect to the att pin which can be used to briefly power cycle any attachment. Frank Zhao has used this in his drum emulation so i wanted to include it in my version. 3) You can connect the wii connector the right or the wrong way (with potential black smoke) because there is no physical way this is prevented. You have to know the way round you fit the attachment. Here you can read about the an adapter which accomplish the same task but additionally solves all these issues. The second one is called Wiikend and this has a proper connection the same as is used in the Wiimote. 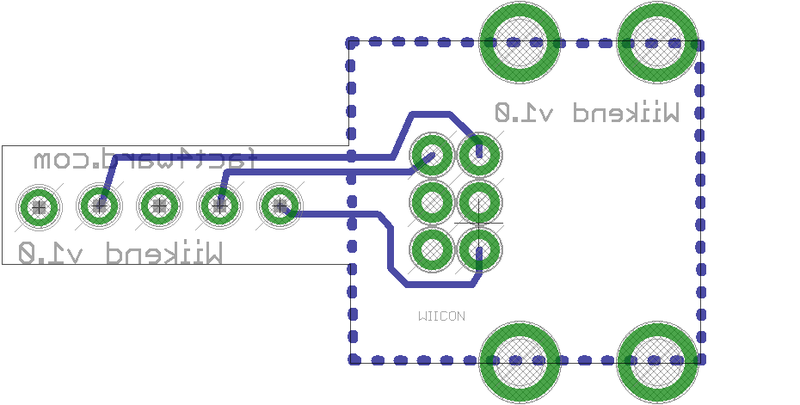 The wiikend has a physical connector which makes the wiikend slightly more expensive, but the security of only being able to fit the attachment in the correct way makes up for that. I was also a bit unsure if the lobster design would be strong enough so i opted for the Wiikend. The wiikend design is available in the webshop now for only 5.50€ so dont let that bother you. You can also order the PCB by itself or the connector by itself for 3.00€ each. You can see the connector below. Before i finalized on the Wiikend i also designed the Wiilobster. 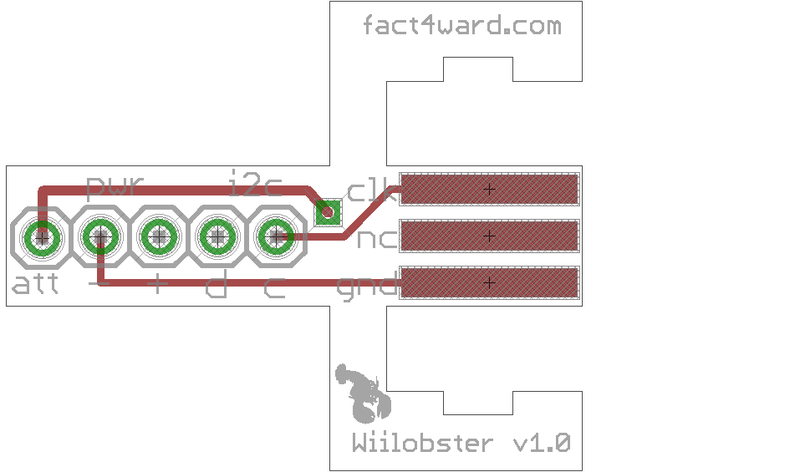 The Wiilobster has all the features of Todds design but additionally has the Att pin brought out and secure fixation by means of the two cut outs either side of the connector on the PCB. You still need to know which way round the connector goes which is why i finally opted for the Wiikend design.